In the year 2154, a group of young men and women awake in a dark claustrophobic maze. They don’t remember who they are or how they got stuck in this labyrinth. The group must learn to decipher codes, understand the signals and beat the tests in this mysterious and bizarre place. Out of necessity they struggle to form a bond to survive, while the outside world watches and wagers on their fate. “10 must enter the challenge. The goal is the conquest of freedom. There are bad movies. There are horribly bad movies. And there’s “Andròn: The Black Labyrinth“. Normally I succeed in finding something positive in a movie. But no matter how hard I looked for it, I couldn’t find anything positive in this one. Whatever aspect I even looked at. The conclusion is that it’s in each case a failure. It’s nothing new that nowadays a moderate version of a successful Hollywood product is being made once and a while. They try to ride the waves of success of those blockbusters, of course. You would expect them to be at least a bit more creative with the stolen concept. Even this film doesn’t bother about that. It simply copies the stuff shamelessly. Ultimately, this looks like a kind of “The Hunger Games“. It’s set in a maze as in “The Maze Runner“. And all of this is happening in a post-apocalyptic, overcrowded world, as you could admire in “Elysium“. In “Elysium” the poorest population lived on earth in deplorable conditions, while the happy few floated in an orbit on an artificial paradise. In “Andròn” they keep the worldpopulation in balance by organizing bets on a contest organized in the black labyrinth. At stake are the lives of the wretched population itself. So, if you bet on the wrong person, it’s goodbye glorious life (that’s meant sarcastically). A kind of “Bet to Win”. So it’s better you don’t lose. Alec Baldwin and Danny Glover weren’t really picky in terms of movies recent years. That’s a fact. Baldwin starred briefly in “Still Alice“, but I can’t remember any film after “Lethal Weapon” with Glover in it, which was actually worth a watch. But what got into them to collaborate on this project, is a mystery to me. Not that they play such a weighty roles. And they aren’t very excited about it either. The ten unfortunates who get caught in this maze where they have to struggle for survival, are all unknown actors to me. To be honest, this was noticeable. Sometimes it seemed like they were waiting for the prompter, so they could remember their next dialogue line. Even the battle scenes with terrible looking Ninja Turtles were poorly coordinated. It seemed sometimes like an ordinary game of tag. Mostly they just waited for their opponents to attack them. The only one I recognized was Skin, better known as the lead singer of Skunk Anansie. I’m not a big fan of this band. And I won’t become a big fan of her as an actress either. It all felt pretty forced. Although the characters sometimes seem really stupid and meaningless, the actors themselves aren’t to blame. It’s because of the worthless and confusing story. Most of the time you’re wondering what on earth it’s all about. The victims run around in a circular maze. But I guess it’s pretty hard to walk in a circle when you look at the geometry of the walls. And that’s the only thing you can expect. A group of contestants plagued with amnesia, stumbling through this maze (although it looks more like a factory building by the way) all distraught and confused. Alec Baldwin controls the show using high-tech gadgets. And Glover’s contribution can be called ridiculous. For those who have reached the end without falling asleep, the closing scene was really disappointing. 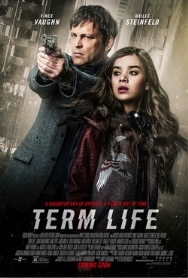 Unprecedented one of the worst movies I’ve seen this year. A meaningless story, pitiful performances and also quite cheap-looking special effects. It wouldn’t surprise me this will be a new way of torturing, used in a dictatorial country somewhere. 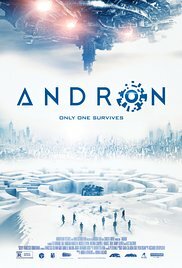 Mandatory watching “Andròn : The Black Labyrinth” for hours. Painful!